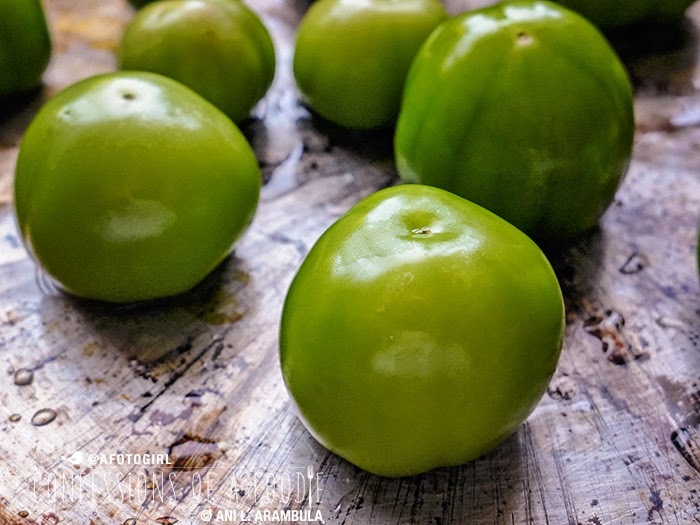 Every Mexican household has their own slight variation of fresh salsa verde. The basics are tomatillo, jalapeños, onions, garlic and cilantro. Super easy. Super tasty. 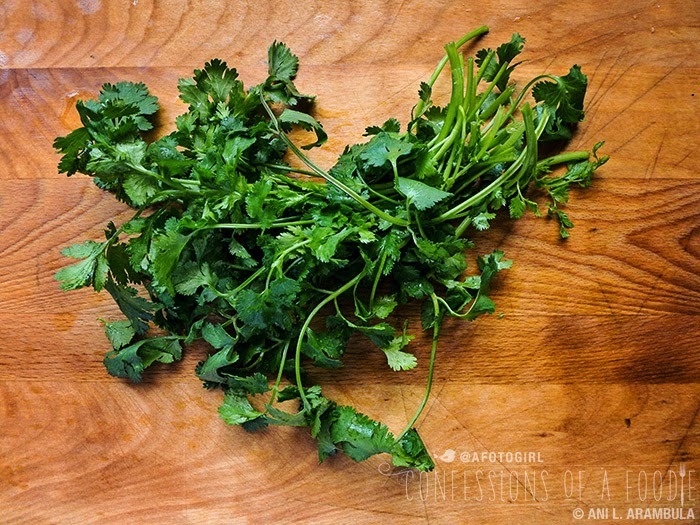 Every Mexican household has their own slight variation of fresh salsa verde. The basics are tomatillo, jalapeños, onions, garlic and cilantro. Super easy. Super tasty. This is my version. Enjoy! The day after Easter, I stopped by my parents house to drop off a newly formatted MacBook for my mother. Dad was in the kitchen prepping tripe for menudo. Yuck, I said to him. "What? It's so good," he answered. I wrinkled my nose to him and said it stinks. He was incredulous at my proclaiming not just my dislike but rather my revulsion of this, his favorite soup. "I've never liked it, Dad. It stinks up the entire house while it's cooking." "Only when your mother makes it," he half jokes. It makes no difference who makes it. It's gross. "There are lots of things I hated as a kid," I explain. Chiles rellenos, avocados, mangos, tomatillos, chilaquiles, I tolerated enchiladas and I absolutely thought menudo was disgusting. I've grown to not only like but love a lot of those things as an adult. Except menudo. Salsa verde is another one of those things I hated as a child. It's usually fairly spicy which is one of the reasons I disliked it. 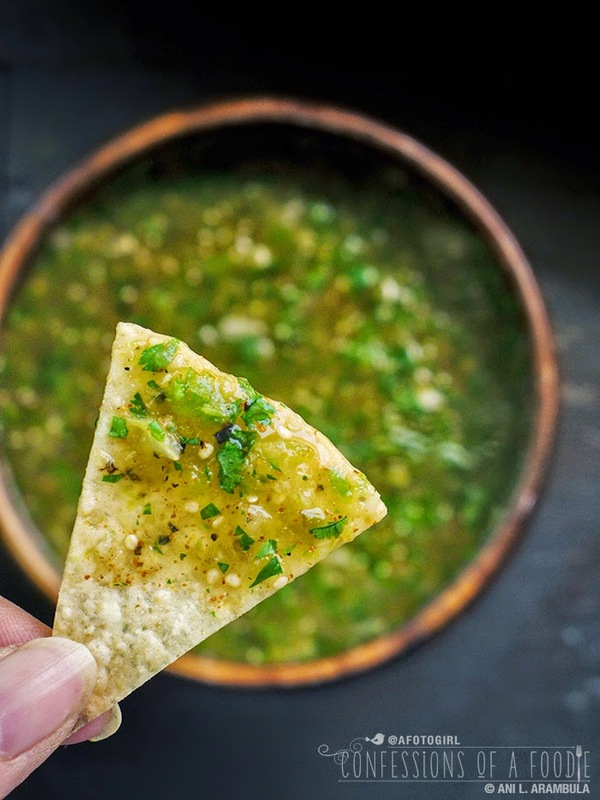 I'm a hot spice wimp and my grandmother and father both made this salsa super chiloso (spicy). I also thought tomatillos had a weird smell and I didn't like the sticky sap left behind on the fruit once the husks where removed. More over, I couldn't understand why anyone would want to eat a green tomato. Of course, now I know it's not a tomato at all but related to the gooseberry. 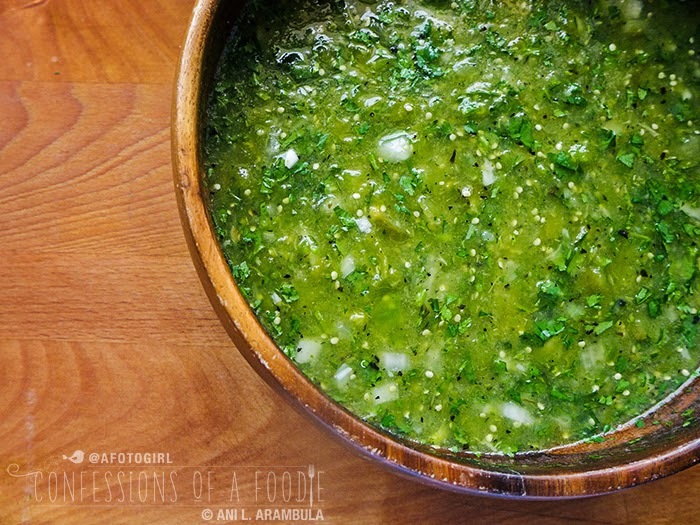 As it is for most adults, my palette changed as I matured and now, salsa verde is one of my favorite sauces. I'm still a bit of a wimp to the heat but like a lot of Mexican dishes, this varies from household to household. The basics are usually the same but there's almost always a little twist tossed in by the person making it. This recipe is easily adaptable. Like it spicy, keep the chile pod seeds and veins or add serrano for even more kick. Want it creamier? Add an avocado. It's really that simple to customize. 1. 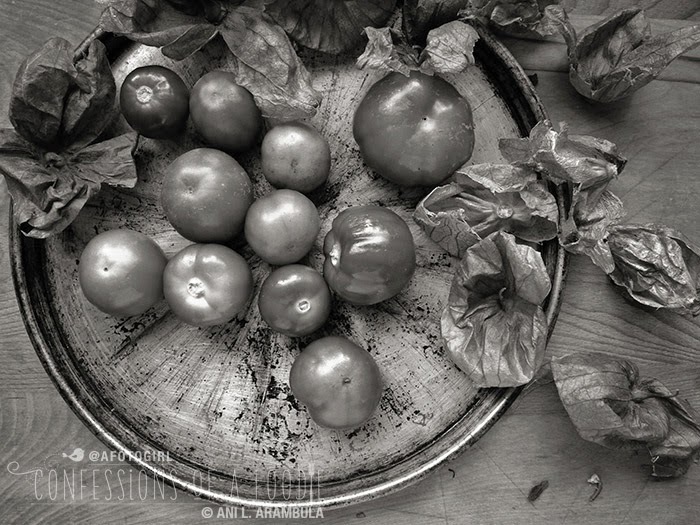 Remove the husks from the tomatillos; discard husks. Rinse fruit well to remove sap. 2. 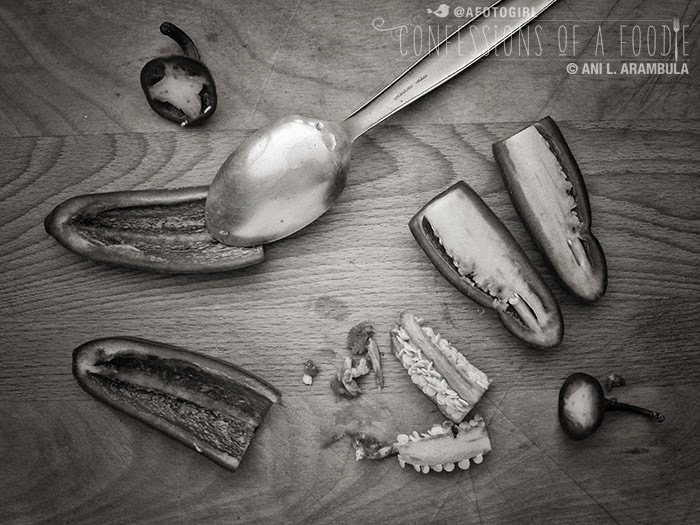 Cut the stemmed tops off the jalapeños then split them in half and, using a spoon, scrape away the seeds and veins. This is where the main heat lives. If you don't mind the heat, leave the peppers whole. 3. Lightly grease a griddle or skillet, rubbing excess off with a paper towel. Place on medium heat. 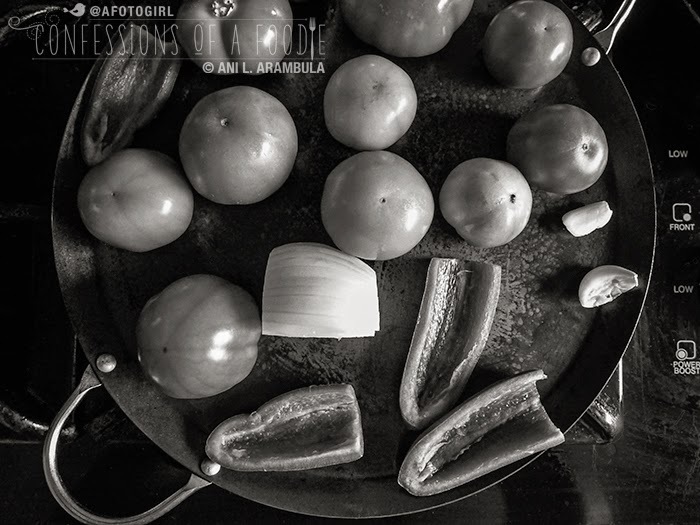 When it's hot, place the tomatillos, peppers, garlic and onions on the hot surface. 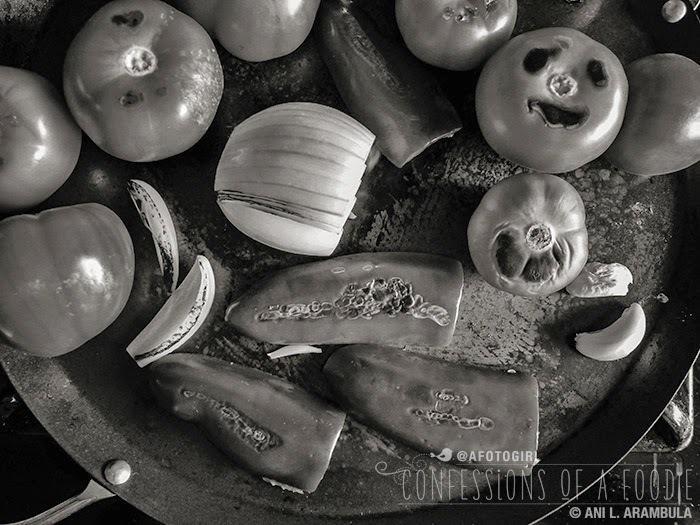 Allow to blister, turning vegetables over with tongs to soften and slightly blister as much surface as possible. The peppers, onions and garlic will soften and blister the fastest. After about 5 minutes, remove the onions, garlic and peppers to the bowl of a blender. Continue roasting the tomatillos for another 5-8 minutes. Optional, carefully slice the tomatillos in half to accelerate the roasting. 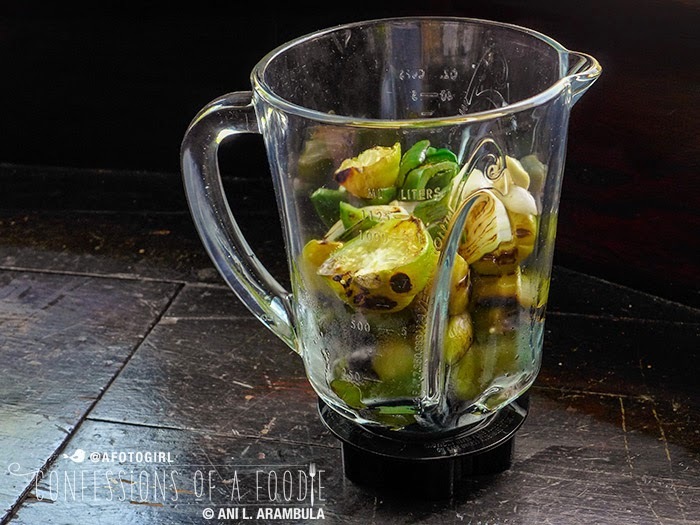 Once the tomatillos have started to soften and are just starting to release their juices, remove them to the blender. 4. Allow to cool a few minutes then add ⅓ cup of water, place the blender lid on loosely, holding it in place with a kitchen towel and purée until just slightly chunky to smooth depending on personal preference. Add more water if a thinner consistency is desired. 5. Pour the salsa into a bowl, add salt to taste. 6. Stir in the cilantro and the chopped onions (feel free to add these to the puree if you don't like the chunky cilantro and onions. Adding them after the fact adds texture back to the salsa). 7. If more heat is desired, add the cayenne, to taste. 8. 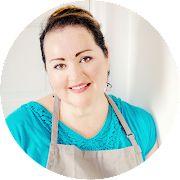 Place in an airtight container – preferably a glass jar – and store in the refrigerator for up to a week. Add a squeeze of lime juice to freshen as needed. I was the same way as a kid I grew up hating beans, cheese, guarana (a Brazilian soda), papaya, bananas....and now whenever I go back to Brazil those are exactly all the things I love and want to eat haha. 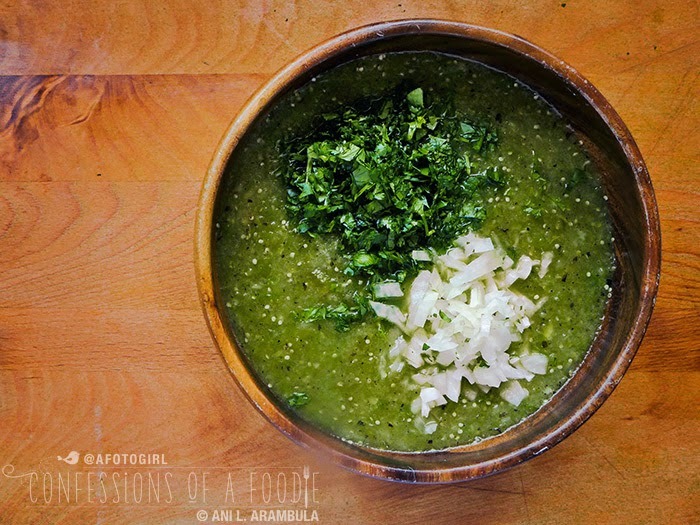 Salsa verde is my fave and I love this recipe because I can do it on the stove in lieu of heating up the oven. Brilliant!! !